Failed projects can have tremendous costs for an organization, from wasted resources to missed opportunities and lost competitive advantage. To help organizations avoid these kinds of results, complete their projects on time and on budget, and meet all of their goals, consultants Andrew Longman and Jim Mullins have written The Rational Project Manager. In it, they offer project managers their experiences and perspectives on problem solving, communication and decision making in project management. Mastering the art of project management has become more vital to organizations as they do more work in the form of projects. Failed projects can have tremendous costs for an organization, from wasted resources to missed opportunities and lost competitive advantage. To help organizations avoid these kinds of results, complete their projects on time and on budget, and meet all of their goals, consultants Andrew Longman and Jim Mullins have written The Rational Project Manager. In it, they offer project managers their experiences and perspectives on problem solving, communication and decision making in project management. The authors point out that organizations that fail to meet the goals of their projects lose their willingness to take risks and commit to new endeavors, which can lead to lost opportunities and risk aversion, which then lead to significant costs for the business. About $10 trillion is spent each year on projects around the globe. Getting those projects done on time, within budget and with desired results is a crucial part of today’s lean, dynamic organization. Managers are asked to do more now than ever before to complete these projects — in geographically scattered, highly networked organizations with outsourced or shrinking resources — while aiming at even higher goals. The authors explain that despite the drawbacks, projects remain the best method for cutting through the complexity to accomplish work. The lack of a common approach to projects that focuses on the fundamentals. Weak thinking about the decisions, problems, potential problems and complex situations that drive the project. The failure to manage projects within the social context of the organization. To help organizations tackle these three fundamentals, the authors present a rational process for managing projects, an approach to critical thinking that facilitates the effective resolution of project issues, and a model for encouraging top performance in people. 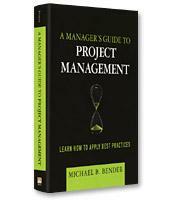 In the rest of The Rational Project Manager, the authors present a three-stage project management process that includes definition, planning and implementation. While describing project definition, they write that a project manager must start with the reasons why the project is necessary for his or her department, organization, client, community or him- or herself; the overall purpose of the project; and the threats, opportunities and needs that are driving the project. Creating a project statement and developing objectives should also be part of starting a project. The next step is developing a Work Breakdown Structure (WBS) that identifies the scope of all the work to be accomplished during the project. Who will be responsible for each work package in the WBS? In what order should the work packages be accomplished, and how much time will it take to complete each work package? How should the project be scheduled against the calendar? Are enough resources available when needed? What problems or opportunities may occur during the project, and what can be done now to plan for them? During the planning phase, the authors write, the project manager will assign responsibility, sequence deliverables, schedule deliverables, schedule resources, and protect and enhance the plan. Making a project work involves properly implementing, monitoring and modifying the project, as well as closing out the project and evaluating the results. The authors explain that everyone involved must understand the project statement and objectives, so productive communication among team members can take place. 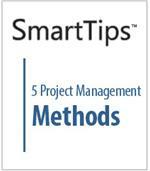 The Rational Project Manager stands out among other guides to project management because of its practical approach. Although it does explain how many of the project management software applications work in relation to the actions it prescribes, it relies on rational examples and enumerated steps to provide the same results. 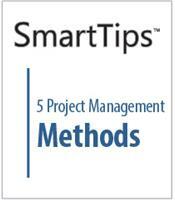 By simplifying project management to basic questions and actions, the authors offer a useful process that fits any organization.